It’s a testament to either the water quality in Vermont or the simple bastion of talent up there that another offbeat band of stellar musicians has emerged from the Green Mountain State to carve up the national jam circuit. Twiddle, connoisseurs of “hi-def shred,” have taken up the mantle of genre-blending live improvisation — and they’ve done so patiently, woodshedding their craft as they make their way across the U.S. The band lands in Cleveland this weekend via the Twerk Tour with headliner The Werks. It’s a good fit, as The Werks have paved much the same freeway during much the same timeframe. The Werks, hailing from Dayton and dishing up an increasing emphasis on the electronic corner of the jam band ring, have helped shepherd Twiddle, in a way, into fresh markets and eager fan bases. “I think both bands are pushing each other to play a better set every night,” Twiddle guitarist and singer Mihali Savoulidis tells Scene. That’s the thing: Each show is stitched together with mystery and surprise. Like the jam band ethos, there’s no central “single” around which the band revolves. And Twiddle, more than 10 years in on their craft at this point, has assembled a robust song list — one that offers up a variety of emotions and ideas for listeners to hang onto. That’s the other thing: You need a good hook. The band started in Castleton, Vermont, about 10 years ago. Savoulidis and keys man Ryan Dempsey met during college orientation and began jamming early in their time together at Castleton State. Midway through their tenure there, they had already amassed the first stash of what would become Twiddle staples, like “Frankenfoote” — stuff that would appear on the first album, Natural Evolution of Consciousness, in 2007. By the time Somewhere on the Mountain came out in 2011, Twiddle was really making a splash on the regional festival circuit. In a sea of look- and sound-alikes, Twiddle was able to ride a sense of earnest dedication and creativity and carve their own den in the universe. What lies ahead is the band’s first double album, a major statement piece after four years with no studio output. There are two songs on the album that have not yet been played live; most others have been road-tested for the last few years. The second album should be out around June or July next year. “We had so much material that needed to get onto a studio album — stuff we’ve played for three years that we felt we needed a nice recording of,” Savoulidis says. Prior to this one, the band’s last album was a live set recorded at Nectar’s in Burlington, Vermont. That guiding directive for the instrumentation and production follows a similar evolution in the musicians’ songwriting. Listeners can pick up on a more exacting voice in newer songs. But you can’t have the decade-long lens of introspection without the earlier process of filling out your own shoes. Early on, Twiddle created a distinct voice — a band — and that’s indispensable for a group of young musicians hitting the road in this brutish millennium. Eyeing 2016, Savoulidis says, there’s still the relentless sojourn across freeways and through small and big cities alike. He says there are some “big offers on the table” — stuff that he couldn’t get into over the phone at this point — that promise a busy, dynamic summer. 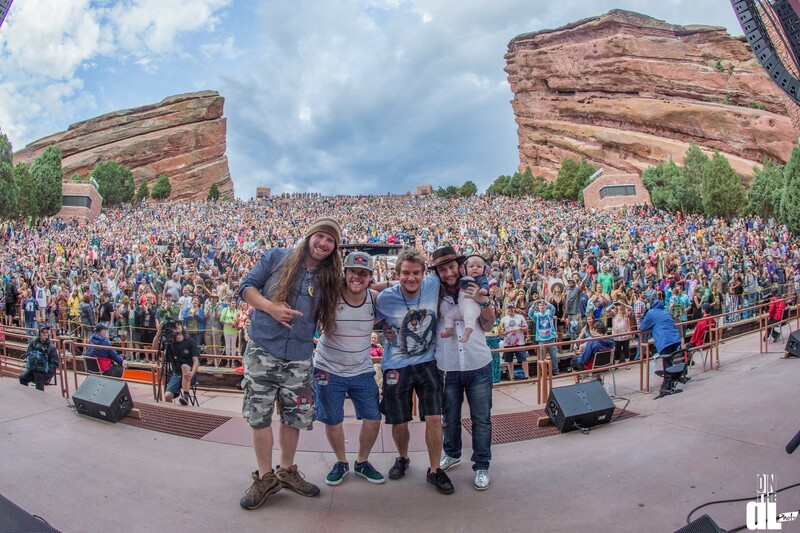 And whether via odysseys like the Twerk Tour or any of the impending summertime festivals, bands like Twiddle succeed when they open themselves to experiences that prompt change. Savoulidis says his band doesn’t stand still. Even on a micro level, the band has been improvising songs that previously didn’t get much of the jam treatment. stretching everything out — “seeing what we can get out of it,” he says. It’s kinda like the band’s arc as a whole. “I don’t think it was ever a question for us whether this was something that we were going to do for the rest of our lives,” Savoulidis says. “At least, certainly not for me.